The HPA version of Scorpion is a milestone for ASG. It is the first HPA weapon manufactured by ASG and also the first licensed HPA Airsoft pistol ever. 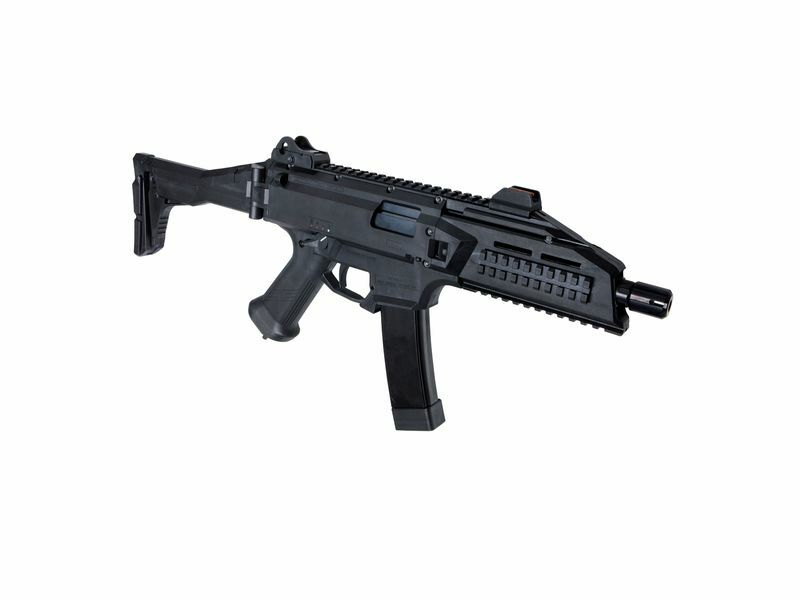 The HPA version of Scorpion has the same features as the AEG version. Like the original, the EVO3 A1 stops firing when the magazine is empty and requires the bolt lock to be activated when a new magazine is inserted. In addition to the enormous range and high-quality polymer construction, the HPA version also offers a programmable Dwell. This allows you to optimize your shooting performance according to the weight of your BB´s. With the EVO3-A1 ASG has not only replicated the exterior as good as possible, but the EVO3 is also as robust as the original. The weapon is powered by the Wolverine Inferno Gen 2 Engine, specially developed for this EVO. To operate the HPA EVO 3-A1 you need a HPA system with a corresponding regulator and a 7.4V 300mah battery. This is inserted under the hand protection and wired to the engine underneath.